If you really want to do something, you'll find a way. If you don't, you'll find an excuse. That’s what the United States does when it comes to weaponization of space. The Under Secretary of State for Arms Control and International Security Rose Gottemoeller confirmed this fact again in a recent statement. According to her, the United States is concerned that treaties proposed by Russia and China to address the weapons in space are not verifiable. The US reluctance to prevent placing weapons in outer space is illustrated by its opposition to any initiatives in this field. On December 7, 2015, the 70th session of the UN General Assembly at the plenary session, adopted the No First Placement of Arms in Outer Space resolution (A/RES/70/27). The US, Ukraine and Georgia voted against the measure. On November 3, 2015 US delegate Robert Wood explained before the vote at the 70th UN General Assembly First Committee on Draft Resolution L.47, «No First Placement of Weapons in Outer Space» that «the United States finds that Russia's NFP (no first placement) initiative contains a number of significant problems», specifically, that it does not adequately define space weapons. «As a result, [nations] will not have any mutual understanding of the operative terminology», leaving the nonbinding resolution difficult to enforce, or for compliance with the agreed-upon measures to be verified. The initiative passed the General Assembly with 129 nations voting in favor. The resolution was submitted by Russia and initially co-authored by Brazil and China. The number of resolution co-authors grew to 40 states at the session of UN General Assembly. Over one hundred states understand well the text of the document while the United States, Israel and Ukraine «face problems». The US cited another reason for opposing Russian initiative – the document failed to mention the continued development, testing, and, ultimately, deployment of destructive anti-satellite (ASAT) systems. The development of ASAT capabilities is de-stabilizing enough to trigger dangerous misinterpretations and miscalculations, and could be escalatory in a crisis or conflict. It’s ridiculous enough to make one laugh. Under Secretary Rose Gottemoeller says the threat posed by space debris is an issue to be addressed urgently. True, the problem exists, but is it serious enough to make the US State Department concentrate all its efforts on trying to find a solution with no time left to address a much more urgent issue – the prevention of placing weapons in space? The Conference on Disarmament has been idle during for 15 years due to Washington’s obstruction. Shooting the breeze is the only thing it all boils down to. The agenda of the Conference includes space weaponization. «The main current issue for Russia is to prevent the militarization of outer space», says Mikhail Ulyanov, Director of the Foreign Ministry Department for Non-Proliferation and Arms Control. According to him, the issue is similar to Pandora’s box. Placing weapons into orbit will trigger an arms race. The number of countries, that can place weapons in space with ASAT and space-to-earth strike capabilities, is growing. Many states are on their way to acquire such a capability soon. The diplomat believes this process should be stopped. The Moscow Treaty (1963), also known as the Partial Test Ban Treaty, banned nuclear weapon tests in the atmosphere, in outer space and under water. But it did not address the problem of weapons deployment in space. The Outer Space Treaty, formally the Treaty on Principles Governing the Activities of States in the Exploration and Use of Outer Space, including the Moon and Other Celestial Bodies, is a treaty that forms the basis of international space law. Signed by the United States, the United Kingdom, and the Soviet Union the treaty entered into force on 10 October 1967. As of September 2015, 104 countries were parties to it, while another 24 have signed the treaty but have not completed ratification. Among its principles, the treaty bars states from placing weapons of mass destruction in orbit of Earth, installing them on the Moon or any other celestial body, or otherwise stationing them in outer space. It exclusively limits the use of the Moon and other celestial bodies to peaceful purposes and expressly prohibits their use for testing weapons of any kind, conducting military maneuvers, or establishing military bases, installations, and fortifications. The treaty also states that the exploration of outer space shall be done to benefit all countries and shall be free for exploration and use by all states. However, the Treaty has a serious weak point – it does not prohibit the placement of conventional weapons in orbit. The Comprehensive Nuclear-Test-Ban Treaty (CTBT) does not solve the problem either. Adopted by the United Nations General Assembly (the 50th session), it bans all nuclear explosions in all environments for military or civilian purposes. The CTBT was adopted on 10 September 1996, but has not entered into force as eight states, including the United States, have not ratified the treaty yet. It all makes Russia view the prevention of space weaponization as its primary mission – an issue of paramount importance for preserving global stability. Together with Beijing, Moscow does its best to achieve progress. The need to do it is obvious. Then why does the United States obstruct the process? It has its own reasons. 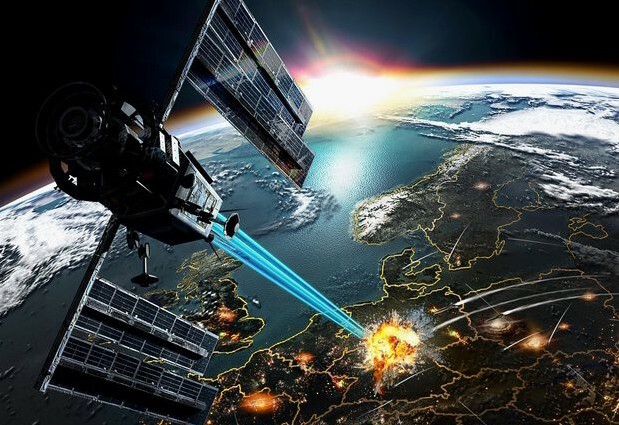 Last June, the Information and Press Department of Russia’s Ministry of Foreign Affairs issued a statement to express grave concern over Washington’s consistent refusal to cooperate in the efforts to reach international agreements to ban space weaponization. It states that «The persistent refusal of the United States to engage in elaboration of international agreements on the prevention of placement of weapons in outer space causes grave concerns. Washington continues to be driven by its national principled policy. In particular, it provides for the use of preventive coercive measures even in case of only contemplated hostile actions from other states, which in itself contradicts the norms of international law». The document offers an example to illustrate the affirmation. It says, «…the paper of the US Armed Forces Joint Chiefs of Staff Committee JP 3-14 «Space Operations» authorizes ‘preventive diplomatic, informational, military, and economic measures’ against an adversary’s space capability». It dovetails with the Code of Conduct for Outer Space Activities that the United States has so zealously supported since 2012. The document does not ban the use of force against outer space objects of other countries. It becomes obvious that the US administration strives to preserve the freedom of action in space. That’s why it refuses to support the initiatives of Russia and China. It makes go down the drain all the efforts to achieve common security for all.